This past week, with the passage of the controversial Initiative I-504, Washington, along with Colorado, became the first States to legalize the production, possession, delivery and distribution of marijuana. If politics make strange bedfellows, I-504 was no exception. The Washington Association of Sheriffs and Police Chiefs and proponents of Medical marijuana joined forces in opposition of I-504. Despite this political odd couple, I-504 passed with 55% of the vote. While WASPC’s motives for opposition are clear, you may be wondering, why would proponents of Medical Marijuana would oppose such a measure? Well like most things in life, the Devil is in the details. In addition to legalizing the possession of small amounts of marijuana, less than one ounce, I-504 created a presumptive limit of how much THC (the active chemical in marijuana) an individual can have in their system when operating a motor vehicle. Under the new Driving Under the Influence of Drugs (DUID) law, it is now a crime to operate a vehicle with an active THC content of greater than or equal to 5 nanograms per milliliter, much like the .08 limit for alcohol related DUIs. Citing a study published by the National Institute of Drug Abuse, the Medical Marijuana folks argued unsuccessfully, that 5ng/mL is too restrictive for individuals that use marijuana regularly and those individuals could be arrested even if they hadn’t smoked anything that day. For those of you who aren’t Chech or Chong and don’t have a PhD in Toxicology, here’s what the study said. It looked at levels of active THC in 25 heavy, long-term marijuana users over a seven-day period. The report found that only one of the participants had active THC levels above 5 ng/mL on day 1, which suggests that the woman was high when she arrived, and the rest had levels lower than 5 ng/mL. The woman had reported smoking four joints per day. However, the day after smoking, her THC levels had dropped to 2.9 ng/mL. Every other participant’s THC levels had dropped even lower by day two. By day six, the levels were undetectable in most of the participants and all of them were far below 5 nanograms. Two conclusions can be drawn from this. First, the Medical Marijuana folks were likely medicated when they read the study. Second, smoking marijuana the previous day is unlikely to result in a conviction for DUID. However, it’s important to remember that you can still be arrested for DUID even if you are under the legal limit provided the officer believes you are under the influence of or affected by Marijuana. So, when your out-of-town friends or relatives come to visit the new Amsterdam, make sure you tell them to smoke responsibly and to always have a designated driver. After all, a taxi cab is less expensive than defending a charge of DUID. Joe Schodowski is a contributing author to this blog and has been admitted to practice law in the state of Washington. He limits his practice to the areas of criminal and civil traffic matters. 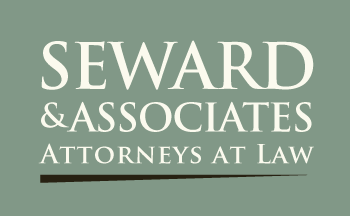 The Law Offices of Joseph Schodowski, PLLC works in association with the Law Offices of Richard D. Seward, PC.